The 2018/2019 national budget has been passed by the parliament after the Committee of Supply rounded off robust discussions of the budget estimates last night. The Committee of Supply has agreed to the 2018/2019 Appropriation bill 2018 without amendments. Minister for Economy Aiyaz Sayed-Khaiyum moved the third reading of the 2018/2019 Appropriation bill 2018 this morning. The bill for an act to appropriate a sum of $4.6bn for the ordinary services of the government for the year ending July 31st, 2019 has been enacted by the parliament. 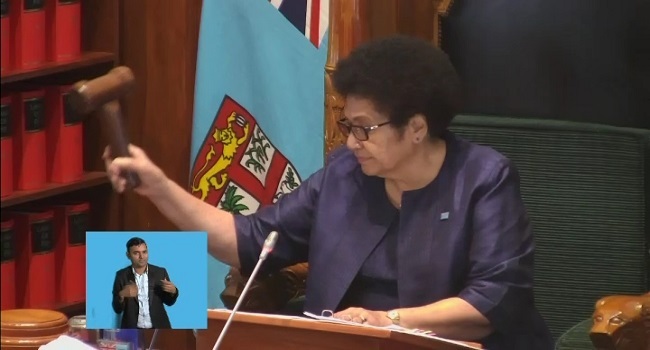 Speaker of the House Dr Jiko Luveni congratulated the members of the House for their contributions to the significant and integral process of the national budget.